The Hummingbird is a very magical bird that has many genetic variations, colorations, and symbology in cultures throughout the universe since ancient times. The Hummingbird is always regarded as a spiritual being, and its delicate beauty displays the stunning majesty of the skies. This breathtaking beauty of a bird has been treasured for ages. There have been ancient carvings, crop circles, and legendary stories revolving around the Hummingbird passed on through each generation inspiring the spirit of our culture today. There is so much we know and so much we have yet to learn about the miracles of the universe in a light of duality concerning how we act in the physical and what we represent in our spiritual being as well. Here we divulge into the magical world of the Hummingbird. ..
Reports of crop circles have been made in our modern world. A crop circle is a design made into crops by UFO’s. Many crop circles have proven to be a hoax but many have not. The intent of the symbology of the crop circle is to send a message from an alien realm. 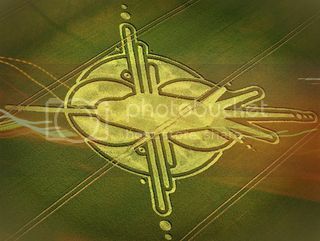 It is very interesting that crop circles have been made to resemble a hummingbird such as one in the UK at Wiltshire in 2009. It appeared at 300 feet tall. What would the symbol of a hummingbird be perceived as by someone from another world? Could anyone deny the beauty of such a creature? The Nazca lines of Peru have been discovered etched into the land of ancient times. This geoglyph has remained here in mystery as well as others discovered in Egypt and California. Is this a map that the extraterrestrials are leaving or a design from the Earth herself? Birds are the messengers of the Gods being able to span the Heavens…inspiring...us. The Hummingbird got its name from the humming sound that its wings make when in flight. An amazing feat that is only accomplished by the Hummingbird is its ability to fly backwards and upside down also to hover. Perhaps this is why an extraterrestrial would dictate this symbol to us because it resembles the aerial patterns of a UFO who can fly like this as well. New species of Hummingbird evolve as the flowers of Earth evolve creating new variations of this stunning bird. Hummingbirds feed on the sweet nectar of flowers. The Hummingbird is a symbol of resurrection in this way, dying in physical form but coming back over and over again cycling like a wheel to evolve to the true nature of beauty. The wings of a hummingbird are quite unique in the way that the sun creates a shimmer effect, causing varying metallic colors to appear on them. The colorations vary due to evolution. There are many different types of this bird with unique patterning. All to serve a purpose to adapt to the environment for living survival just as a human being does, proving we were all made by the same ultimate design. Huitzilopochtli is a God of war, the sun and human sacrifice. He ruled over the city of Tenochtitlan as a mighty moral essence. Hopefully all these hummingbird symbols are not foretelling war, Earthly or terrestrial because that would be horrible but this God was important because Huitzilopochtli is symbolized by the hummingbird. The souls of Huitzilopochtli’s warriors return to the world, resurrected as hummingbirds. The Mayans reveal that the Hummingbird has a close connection with the sun. We create symbols from what we know and also within the rules of the boundaries of what we are morally taught to believe and feel and when... could this be the universal way of the soul? Forever limitless but limited to the confines of the expansion of the universe, our laws, thoughts and movements predict the creatures that live in the world of tomorrow and this all traces right back to the sun. Everything revolves around the sun in our world and the Hummingbird is said to be the sun in disguise. There has always been a romantic notion about the sun as well as this bird and the flowers it thrives on, a close association to the core of the universe. The secret of the Hummingbird is one of the whispered legends set loose many times around the world from Heaven to reach us again in each lifetime or karmic span of time. When we are dreaming, the spirit world has a way of letting itself in. A dream about a hummingbird is an omen from the universe of a miracle of love. A Hummingbird can be foreseen as a guardian to your most delicate parts of your soul, vibrating in unconditional love and light into our beings for eternal good.